Wow, this trailer came out of no where. 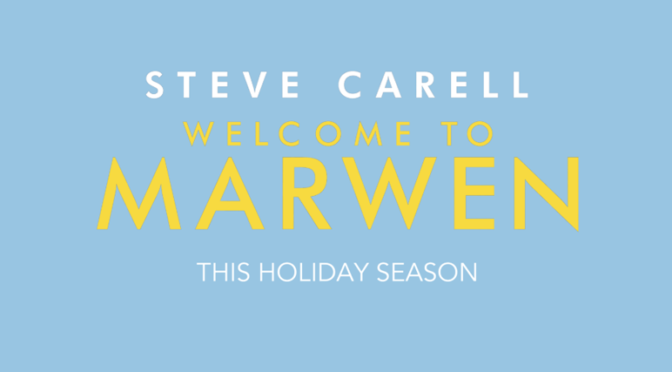 This holiday season, discover the world of WELCOME TO MARVEN! Check out the trailer below. The epic drama is produced by Oscar®-winning producer Steve Starkey (Forrest Gump, Flight), Jack Rapke (Cast Away, Flight), and Cherylanne Martin (The Pacific, Flight) of Zemeckis’ Universal-based ImageMovers banner produce alongside the director. It is executive produced by Jackie Levine, as well as Jeff Malmberg, who directed the riveting 2010 documentary that inspired the film. If anything, this trailer fills me with hope, and love for the human spirit. And I can’t wait for this to be released. What do you think of the trailer? Drop your thoughts on the FUZZYBUG Facebook Page. Previous PostTRAILER: ‘HOW TO TRAIN YOUR DRAGON: THE HIDDEN WORLD’Next PostHold on to Your Hats Kids, a ‘SHERLOCK HOLMES’ 3 is Coming!